Historically speaking, toward the end of the 16th Century, a conflict between sovereign states in Europe and the Roman See; the Vatican erupted, thus creating two opposing views with reference to the relationship between bishops and the Papacy. The first position stated that national churches have certain rights within the framework of the Papacy, such as electing of Bishops with approval of the Vatican . The second view maintained that the Pope is supreme in all local churches since he claims to be the Vicar of Christ on earth; local bishops are but the vicars of the Pope in each diocese. Chief advisors to the Pope began to question the loyalty of the Church of Utrecht , Holland , which had always elected its own Archbishop. The real issue was the right of national churches to administer their own affairs without hindrance from the Vatican . Pope Benedict XIII eventually deposed Archbishop Codde of Utrecht and replaced him. As a result, the Dutch Church broke communion with Rome and has maintained a separate existence since1727. It is from the Church of Utrecht that the Catholic Church of Amereica derives her apostolic succession. The second major epoch commenced from the time of the First Vatican Council during the 1860's. Pope Pius IX had previously proclaimed as "dogma", the opinion that the Blessed Virgin Mary had never been stained by Original Sin; hence her Immaculate Conception. Furthermore, Pope Pius IX advocated the promulgation of the "dogma" of Papal Infallibility, which was officially proclaimed in 1869, at that Council. The historical Apostolic Succession of the Old Roman Catholic Church began with His Eminence, Antonio Cardinal Barberni (1607-1671), Archbishop of Rheims, Cardinal-Priest of the Roman Catholic Church and, the line of succession has provided valid orders to the present. In 1908 Gerard Gul, Archbishop of Utrecht consecrated Arnold Harris Matthew, Bishop for Great Britain. He consecrated De Landes Berghes in 1912 for work in the United States. He consecrated Carmel Henry Cafora in 1920. He consecrated Robert Alfred Burns in 1956. He consecrated Robert Lane in 1970. He consecrated Floyd Anthony Kortenhof in 1991. 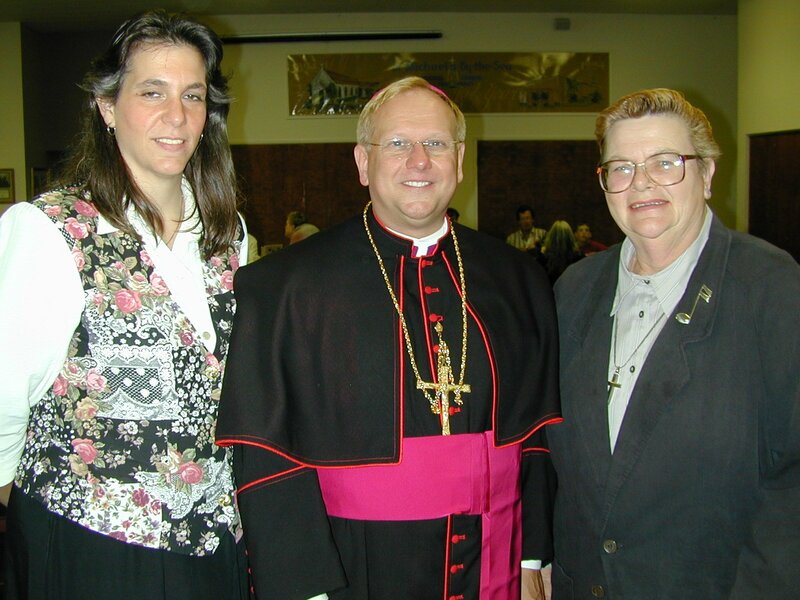 He consecrated Thomas E. Abel in 2003, who is the head of the Catholic Church of Amereica and governs the Church and provides spiritual guidance. The church reaches out to believers in Christ and those who are searching for the truth through knowing Christ. We actively seek out and are open to people called by God to be part of his church. There are no limits placed on the members of our church except to accept Christ and follow the beliefs of our church found in the Creed and as explained in the church councils through the ages. Revealed truths are found in Cannon law as well and the great writers of theology. We stress the personal responsibility of each person in knowing God and acting according to God's will as has been revealed to the church through the ages. Our members are to understand it is their personal responsibility to know God and for their own action throughout life. We know we are all sinners but we also know that Jesus came to earth and became man to save us from our sins and give us the promise of heaven. "Therefore, these separated Churches and communities as such ... have by no means been deprived of significance and importance in the mystery of salvation. For the Spirit of Christ has not refrained from using them as means of salvation which derive their efficacy from the very fullness of grace and truth entrusted to the Catholic Church."